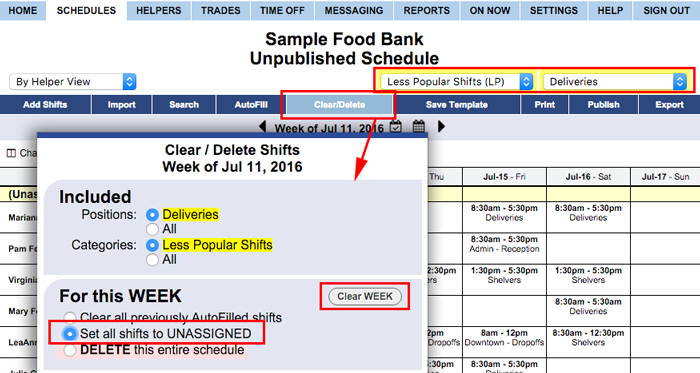 On Unpublished weekly schedule views, you can use Clear to Unassign the shifts. Clearing shifts sets them to unassigned so that they can be AutoFilled, manually assigned, or picked up off the Tradeboard (if you allow that on your SETTINGS>Global Helper Permissions page). Clear/Delete is only available on Unpublished Schedule Views. You can use the Sortable List Schedule View to delete or Unassign shifts on Published views.